Just reduced! This home will not last long! 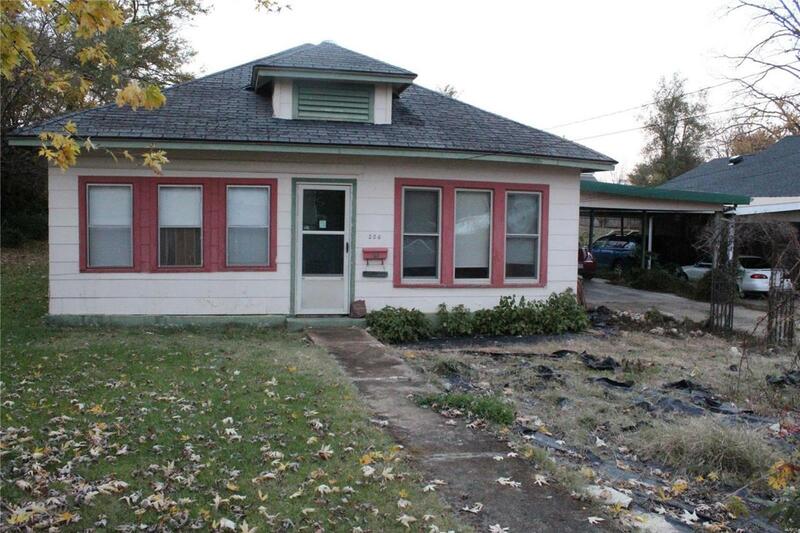 Charming ranch would make the perfect rehab, flip, or rental with minimal updates. The living room boasts high ceilings and can easily be converted into open concept as you walk into a spacious eat-in kitchen. One bedroom has a large closet and the second has potential layout for a large walk-in. Both bedrooms are separated by a full bath with the potential for a Jack and Jill. The existing bathroom has tons of potential including a shower/tub combo and a large towel closet. Did I mention the front sunroom with indoor/outdoor carpeting, or the accessible laundry room with additional storage space in back? Host BBQ's this summer with plenty of off street parking and a large partially fenced back yard. Located in Central R-3 school district! Home to be sold as-is, seller will not pay for repairs.